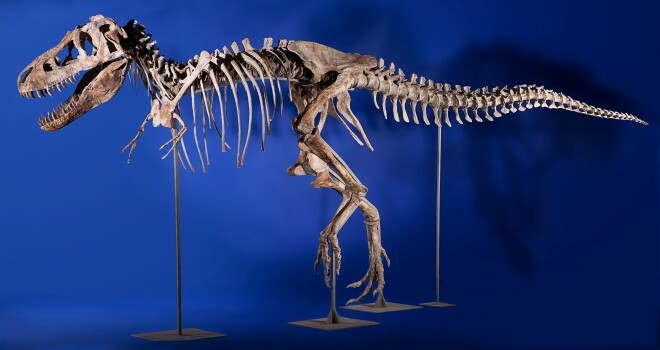 The US is seeking to return a Tyrannosaurus bataar to Mongolia after officials there said the dinosaur bones were smuggled into the U.S. Manhattan US Attorney Preet Bharara says the nearly complete skeleton was allegedly stolen from Mongolia and brought to the US with false claims that it originated in Great Britain and was worth $US15,000. It was then sold at auction for more than $US1 million. The auction proceeded even though the president of Mongolia obtained a restraining order in a Texas court before it took place. 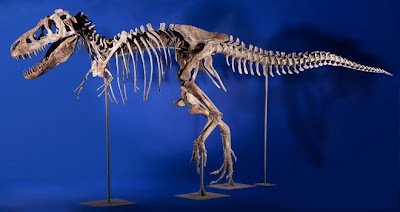 Under Mongolian law, dinosaur fossils are considered property of the Mongolian government and “one-of-a-kind rare items” that are prohibited from being moved abroad. The skeleton was taken from the Gobi desert. “The skeletal remains of this dinosaur are of tremendous cultural and historic significance to the people of Mongolia,” Bharara said in a statement. “When the skeleton was allegedly looted, a piece of the country's natural history was stolen with it, and we look forward to returning it to its rightful place.” Bharara alleges the customs documents for the dinosaur misstated the bones' country of origin as Great Britain instead of Mongolia. The government's paleontologists concluded the skeleton must have come from Mongolia because the dinosaur was native to that region and its bones have only been discovered there. The Tyrannosaurus bataar, which lived about 70 million years ago, was first discovered by paleontologists in 1946, Bharara's office said. Since 1924, Mongolia enacted laws making any dinosaurs discovered there to be government property.